A few weeks back, I threw my kids a huge Angry Birds party. We did everything from play real Angry Birds to a Pinata. The kids had an amazing time, Angry Birds really lends itself to some fun activities and decorations! You can find the full party here, but today I am going to walk you through this easy pinata. Seriously, I am not sure a pinata can get easier than this one. I came together in about an hour and that INCLUDES drying time. I made it one night while my husband and I were watching a movie and I was done before the movie was over. 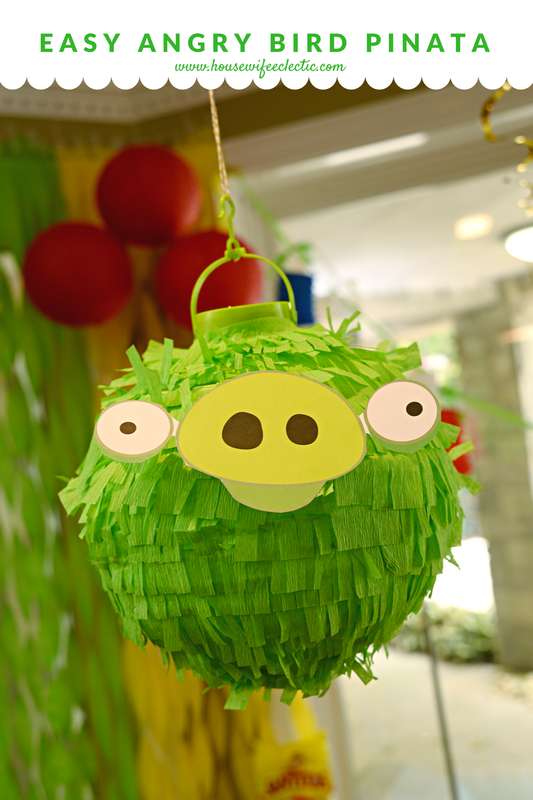 The best kind of lantern to use as a base for a pinata is the really simple kind. The ones that have just paper and a little bit of metal. The ones with plastic, like in the picture below also work, just not as well as the simpler ones. Fringe long strips of crepe paper, making sure to not cut all of the way through the paper. Glue the crepe paper on in layers around the lantern. You can glue it in long strips, turning as you go. 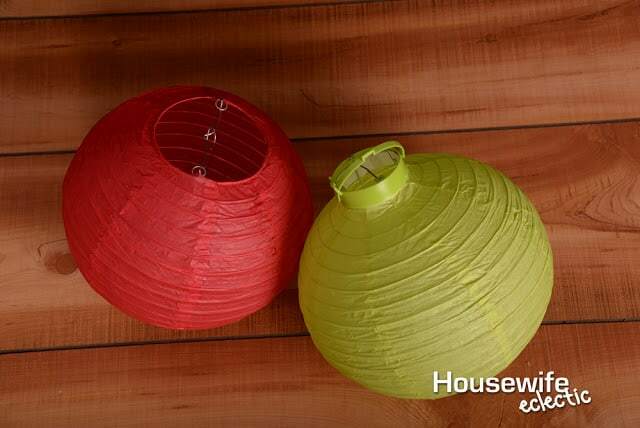 After your entire lantern is covered in crepe paper, allow it to dry completely. 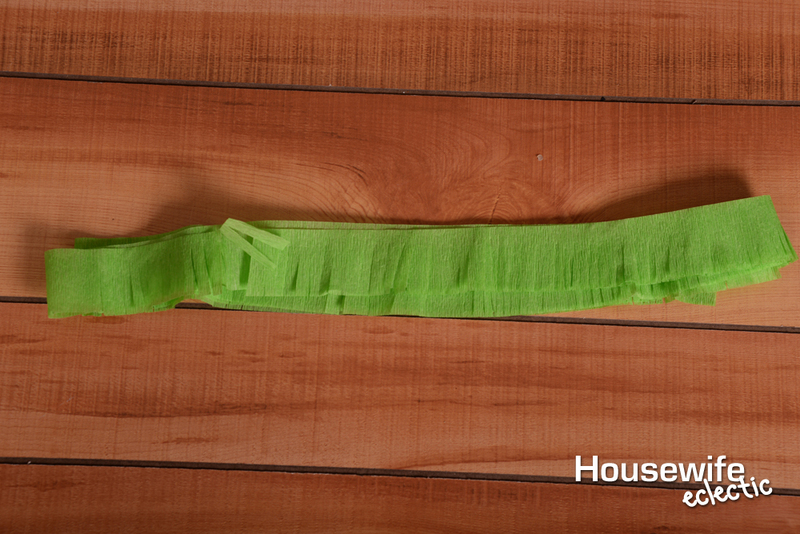 After your pinata is dry, you can kind of fluff the crepe paper up a little bit. Print out the large face printables at the end of the post and cut out the piggie face (or whatever color of Angry Bird Pinata you made). Glue the face onto the paper lantern and allow to dry. Hang the lantern in the middle of the room and let the kids go crazy with a stick! Do your kids love Angry Birds as much as mine do? What a cute idea for a simple pinata. I love the new Angry Birds Movie and think this is a cute idea for a party. I am going to save this so I have it. Your pinata was really creative. What a great DIY Pinata, in fact i might have to try that for our upcoming birthday party. I love that you used a very trending character to create. This is absolutely genius! I never would've thought of this, but it is so easy and cute – AND it seems like it'd be easier for littles to break this open than something that's more solidly constructed. 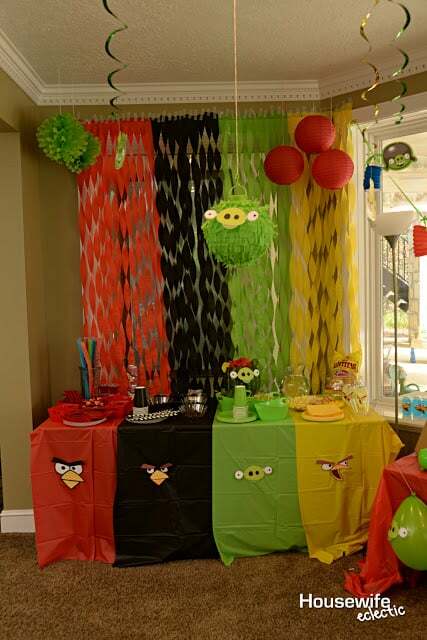 This would be perfect for an Angry Birds party, and I could totally see how you could modify it for other characters, too. This is such a great idea! My boy loves Angry Birds, and I kid you not he just asked me about making a pinata the other day. I can't wait to show him this! When I first glanced at this pinata, I thought it was store-bought. Nice job on putting it together. I think maybe I can do it even though easy isn't always easy for me. My children love the Angry Birds game. One of them has a birthday coming up in the next few months. 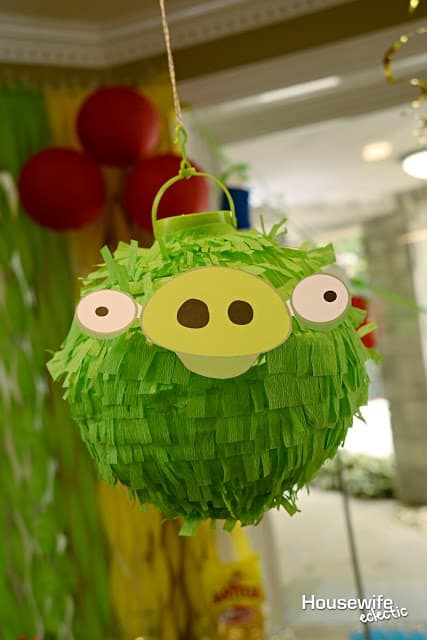 This Angry Birds pinata would be a fun addition to their normal party games and favors. I love this idea! So creative and it looks like a fun craft to do with the kids! it'd be so fun to do this at my son's birthday party next year! I'll have to keep this in mind for sure! This looks so easy even I could make it! My son absolutely loves Angry Bird. And with his upcoming birthday, I've promised him a really fun party. So, this may just be the perfect idea. Thanks! So cute! Thank you for sharing with us at #HomeMattersParty.See you again next week. I love this SO much! No balloons or paper mache to deal with- plus it turned out super cute! My boys would love this! What a fun idea!! I love how you took something and repurposed it in such a fun way! !